Do you know what TinyMCE is? You would know it, if you’ve ever accessed the WordPress dashboard (especially the Page or Post Edit screen). TinyMCE is the WYSIWYG Post editor, used by WordPress. Up until WordPress 3.8, the editor had limited capabilities (not that much has changed now). However, a great deal of effort was involved to add additional options. 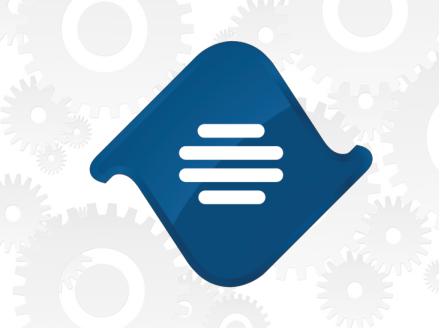 With WordPress 3.9, a new version of TinyMCE has been included: TinyMCE V4. The great thing about the new version is that, the code is much cleaner. The editor brings with it a nice feature as compared to it’s older generations. You can now customize the options provided in the WordPress Post Editor easily. In this article, I will provide you some custom snippets of code which you can use, to enhance TinyMCE. By default, the TinyMCE WordPress Post Editor does not provide an option for user’s to select a font type or a font size. To provide these options you will need to add the following code in your theme’s functions.php file. We have added the function on ‘mce_buttons_3’ hook, to display the font options on a separate row. You can similarly use other hooks (mce_buttons_1 or mce_buttons_2) to display the fields on a different row. Going okay so far? Now, how about adding a button? A button dedicated to perform a particular function, can be a feature you can add in the Post Editor. For example, you may have seen many plugins adding buttons which are used to insert plugin related shortcodes. Similarly instead of expecting users to remember shortcodes, you can simply provide buttons, to insert a shortcode in the post editor. There isn’t a need to add a button for every shortcode, rather only for the most used ones. Below given are steps to create a simple button to add a shortcode on the click event. Write the following in functions.php of your theme, or your plugin which contains the shortcode. So, you’re not happy with the simple button, and are looking for more?! Not a problem. Adding a dropdown option, with sub-menus, is only a matter of a few tweaks to your JS code. This can be useful, when you want to add multiple shortcodes. Looking to Customize your WordPress Website? Send Your Development Worries to Us! Our Expert WordPress Developers can provide you a custom solution to meet your business needs. Hi! Thanks a lot for your tutorial, it is very helpful. I’m trying to add in my editor the button and the dropdown (not just one or the other, both). However I don’t success to make it work between the PHP and JS… How could I do that? You saved my days! Thank you Brad! How to add the same font family button in front end editor. I do not understand the front-end editor you referring to. Is this an editor provided by some plugin? Thanks for the tutorial. It made things very simple to visualize. However there are some errors in your code that I had to track down to get it to work. However, you might have a better way to do it. Also with using the Dropbutton I ran into some errors. Mainly just note that the name in the plugin has to match the name in the .js file. Just a note to help others. Also worked and might be better. Thanks For Good Tutorial !!! Do you know how to fix that ? Apologies for the delayed reply. There was a gaffe in the JS code, I’ve updated it, kindly try it out now.